Charity Navigator ratings works similarly to the more well-known Better Business Bureau, working hard to rate charities on their validity, productivity, and value. The Charity Navigator ratings system began in April of 2002 as a non-profit organization aimed at providing solid information to potential donors to many of America's top charities. The organization's official mission statement is to "to advance a more efficient and responsive philanthropic marketplace by evaluating the financial health of America's largest charities." In other words, when you're ready to donate, the organization is there with all the facts in terms of what various charities collect in funds each year, how they spend those funds, and how their intake and output rates against other organizations around the same size and status level. On Charity Navigator, you will also find blog posts and articles that feature top ten lists, donation advice and further broken down ratings based upon various factors. The site was even rated as one of the 50 top websites of 2006 by Time magazine. You can easily search any of the approximately 5500 rated charities for a complete financial review. Charity Navigator itself is a 501 (c)(3) organization, but doesn't accept any endorsements, advertising or donations from the groups featured on its site. Because of this, you are ensured an unbiased review of the charities you're considering for donations. You may be asking yourself, how are Charity Navigator ratings formed? The answer is found in publicly held documents, namely tax return forms filed with the IRS. Charities are evaluated in two different areas - efficiency and capacity of the organization. It is then given a rating between zero and four stars, and then other information is included such as how good a particular charity is at keeping donors' private information actually private. If a group gift will lead to a barrage of junk mail, Charity Navigator will warn you. If the group spends more money on administrative costs than on their actual target service, then Charity Navigator will blow the whistle on them through this rating system. Charity Navigator also focuses on rating those charities that are in the top 6% of the million dollar revenue bracket, which can be beneficial to those looking to donate to a mainstream charity, but can also be detrimental to the smaller groups it does in fact evaluate, but have less experience and establishment. 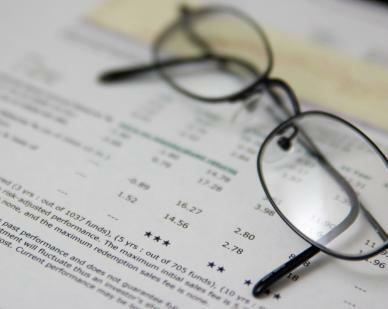 Some publications have criticized the rating system as pigeon-holing these smaller groups, as it is difficult to evaluate an organization efficiently based upon just one year of tax return information. To respond to this complaint, Charity Navigator specifies more report findings and deeper information beyond the simple star rating system in an attempt to be fair to all groups involved. If you want to use Charity Navigator, simply visit the organization's official website and type in the search box the name of the charity you are curious about. You will then find a list of search results, some are national while others are regionally based. Click on your selected group from the list and you will see a pie chart showing the group's expense breakdown, their revenue and expenses trend, and even an evaluation of their mission statement and similar charities performing the same type of work. If you would like to make a charitable donation but aren't sure where to start, then you can browse all of the charities the site reports on - they are divided into easy categories such as animal welfare, religion and international aid. Overall, Charity Navigator has become known as an extremely reputable reporting site that does its homework. In its few years of operation, it has gained widespread popularity and respect with both donors and organizations alike.